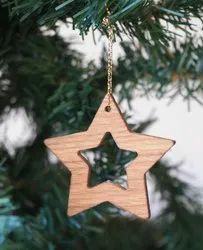 Rana Overseas leading Manufacturer, Supplier and Exporter of Wooden Wall Hanging Christmas Decoratives, We have wide range of Wooden Hanging, Our range Includes Wooden carved Wall Hanging, Wooden Wall Hanging, Wooden hand crafted wall Hanging, Wooden Brass Inlay wall panels. We are giving Wooden Christmas Tree, to our valued customers. These are manufactured from the best grade material and is highly appreciated by our customers in the Christmas week. 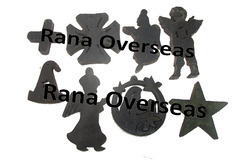 Ornaments for Christmas tree , star , tree & many more designs are available. We are manufacturer of all kind of wooden hand carved and metal handicrafts Christmas decorative items and christmas gifts items..
We deal in various antique, rustic, gold leaf antique, silver leaf antique, natural wood finishes.. we deal in vintage/weathered and distressed finishe stoo..
Add creativity and fun in your parties with Props. This knowledge based activity kit let you make props such as full face scuba diver, funny moustaches, glasses, robot, pirates, princess, hats and other funny props. Colour and glue the prop cutouts and strike a pose with loud ‘cheese.’ Easy to follow instructions included. We are offering a huge variety of styles and designs of mesh Christmas Decorative from wood. Minute attention is given by our talented artisans to carve mesh decors in various customized designs as per clients’ specifications. These make ideal gifts on small occasions and can also be kept in the home showcase.